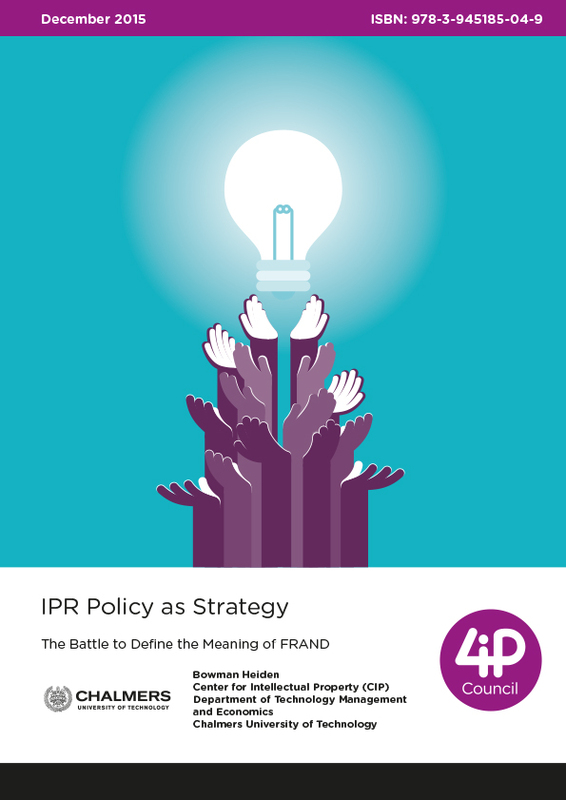 Developing robust empirical research on topics related to intellectual property is at the core of 4iP Council’s work. We commission independent experts to provide robust data and information, as well as analysis, on the complex correlation between investment, invention, innovation, employment and social and economic success. Our research is conducted in accordance with agreed methodological principles. 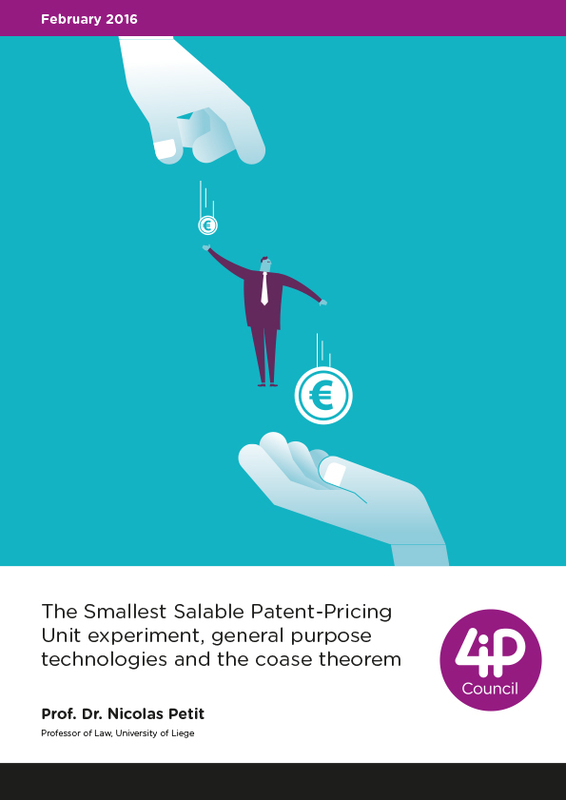 The Smallest Salable Patent-Pricing Unit experiment, general purpose technologies and the Coase theorem. 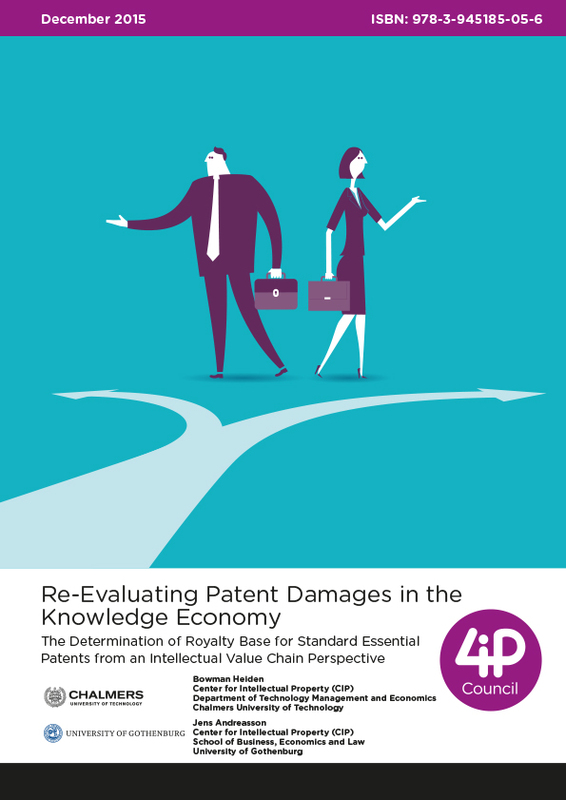 Focuses on a comparative assessment of the standard essential patent (SEP) valuation models of four recent SEP court cases in the US in 2013-14 and discusses their systemic implications for industry and policy makers. 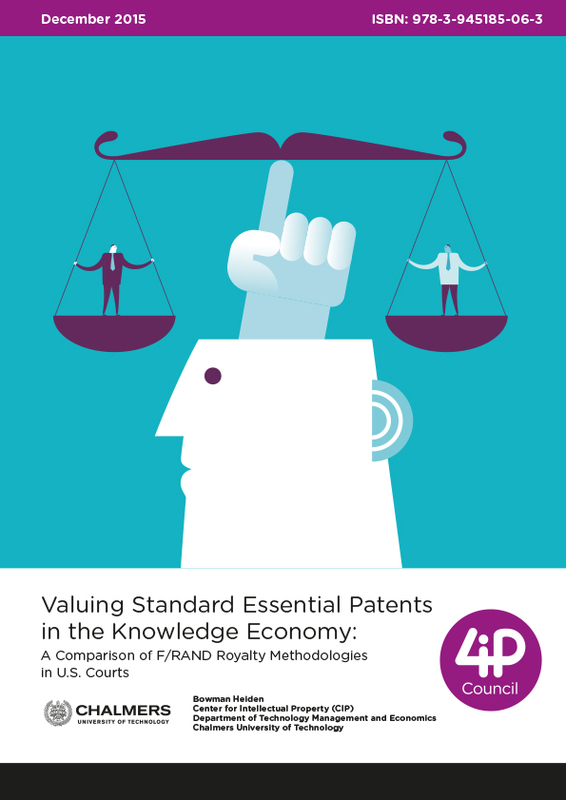 Addresses the ongoing battle to define the meaning of F/RAND as a key institution in determining the value of standard essential patents (SEPs) and the transformation of the telecommunication industry in the emerging knowledge economy. 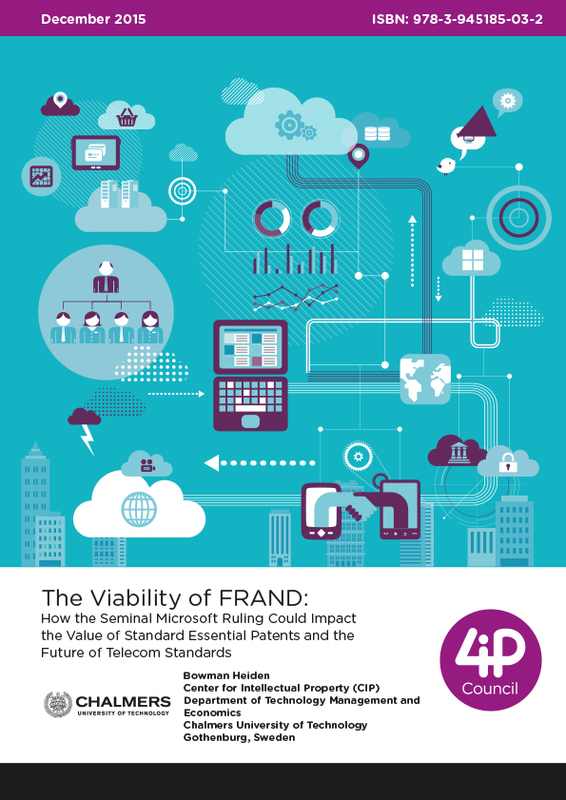 Using the landmark Microsoft ruling, this paper addresses the viability of F/RAND policies to regulate the equilibrium between patent holdup and freeriding (or patent holdout) in the context of telecommunication standards. 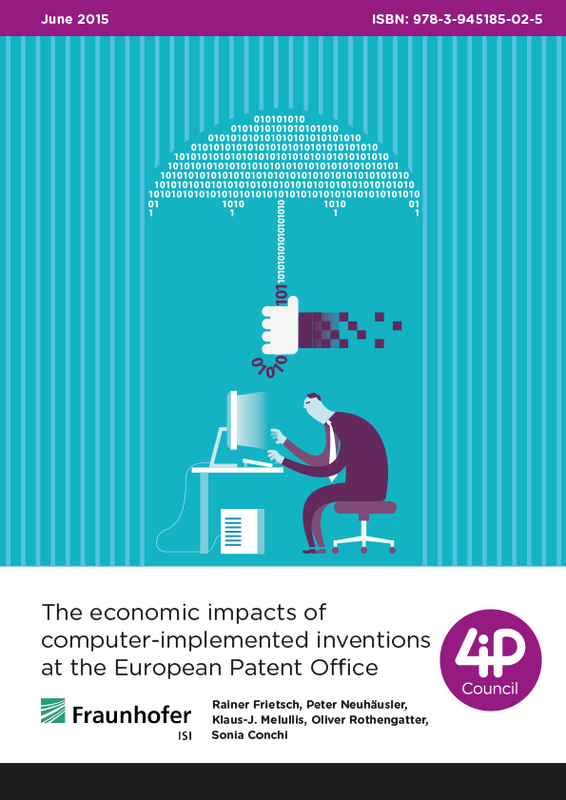 This study analyses how a change in the patent system towards abolishing patent protection for computer-implemented inventions would affect the international competitiveness of German and European firms. 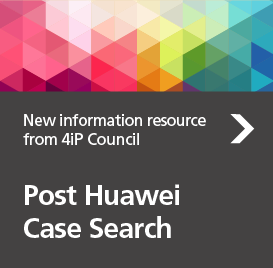 Short overview with key messages. This paper traces the expansion of ‘stealth licensing’ by regulatory bodies and explores its implications on company R&D investments in Europe. How significant are SMEs to the EU? The 4iP Council Research Award, is an international research competition for European University students studying at Masters and PhD levels.